In a medium sized bowl, mash avocado until smooth with a fork. Add in yogurt and ranch seasoning and mix to combine. 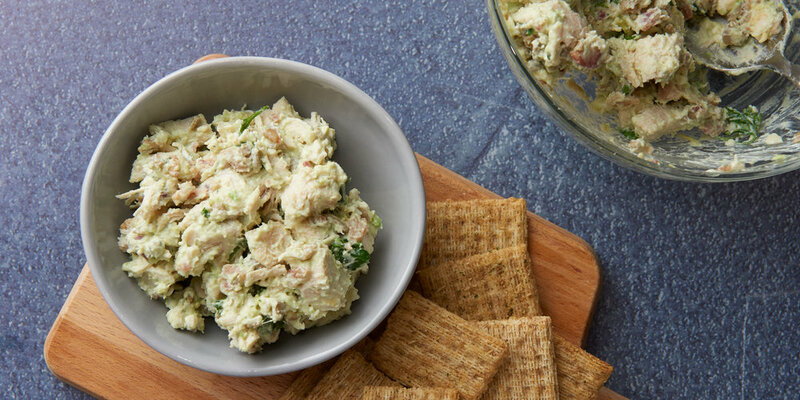 Toss in chicken, bacon, sunflower seeds, blue cheese and parsley, and stir to completely mix and coat. Serve with crackers. Tip: Grab just what you need for this recipe off the salad bar to save time and reduce food waste.